European Union foreign ministers looked unlikely to join the United States on Monday in imposing new economic sanctions on Russia or Syria over chemical weapons attacks that prompted the first coordinated Western air strikes in Syria. 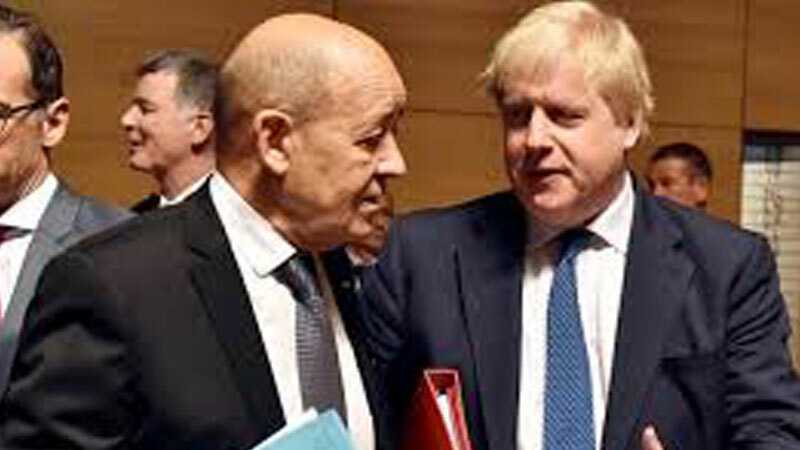 After Britain and France joined the United States in missile salvoes meant to cripple Syrian chemical arms facilities and prevent their further use, Western leaders sought to emphasis diplomacy, with an EU foreign ministers meeting in Luxembourg. “It is very important to stress (the strikes are) not an attempt to change the tide of the war in Syria or to have a regime change,” British Foreign Secretary Boris Johnson told reporters on arrival at the meeting. “I’m afraid the Syrian war will go on in its horrible, miserable way. But it was the world saying that we’ve had enough of the use of chemical weapons,” he said. In Luxembourg, ministers were set to release a statement to keep open the option of new travel bans and asset freezes on Syrians the West accuses of links to the April 7 poison gas attacks on a rebel enclave outside Damascus. But diplomats foresaw no decisions on Monday, especially against Russians. “We have to keep pushing to get a ceasefire and humanitarian aid through the (United Nations) Security Council and eventually a peace process,” Dutch Foreign Minister Stef Blok told reporters. “The only solution is a peace process through the Security Council,” said Blok, who met his Russian counterpart Sergei Lavrov in Moscow on Friday. The United States is due to announce new economic sanctions on Russia aimed at companies it alleges were dealing with equipment related to chemical weapons, according to US ambassador to the United Nations, Nikki Haley. However, EU diplomats cautioned that until European governments had more idea of what the United States was planning, it was not possible to quickly follow suit. In the past, EU measures have sometimes come months after Washington’s. Russia is Europe’s biggest energy supplier and, while the EU has imposed significant sanctions on Moscow’s financial, energy and defence sectors over the crisis in Ukraine, close ties between Russia and some EU members complicate discussions about new punitive measures. The European Union has already imposed a range of economic sanctions on Syrian President Bashar al-Assad’s government, cutting off most diplomatic and economic links, but to no avail. Within the EU, which is due to hold an international donor conference for Syria next week, most governments now agree that Assad cannot continue as president for peace talks to succeed.